Smilodon, often called a saber-toothed cat or incorrectly a saber-toothed tiger, is an extinct genus of machairodonts. This saber-toothed cat was endemic to North and South America, living during the Pleistocene epoch (2.5 mya—10,000 years ago). To reconstruct this beautiful and famous feline, I had the help of two people. 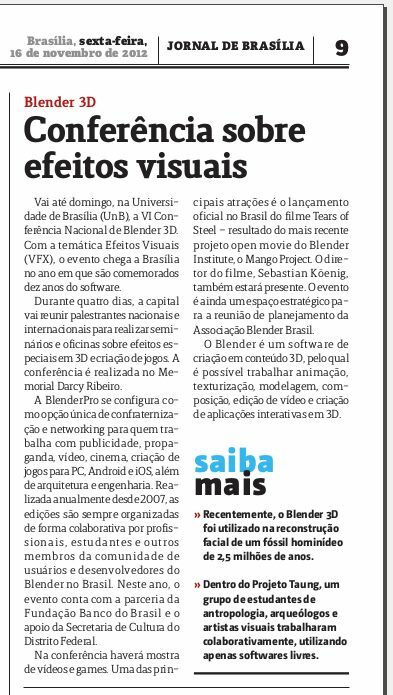 I wanna to thank Mr. Renoaldo Kaczmarech, the owner of the replica and the Prof. Dr. Moacir Elias Santos, that took the photos with great quality, perfect to be scanned in 3D. 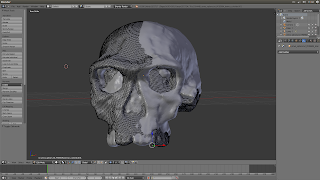 The video show the skull reconstructed in 3D with Python Photogrammetry Toolkit GUI. A big hug and I see you in the next! One day it can happen, joining the #archeos IRC channel, to meet ORNis, alachis & C. and start learning how to build Debian package. That day I was in the channel to say hello and seeking help for some issue, and what happened to me after is logged in this wiki page. 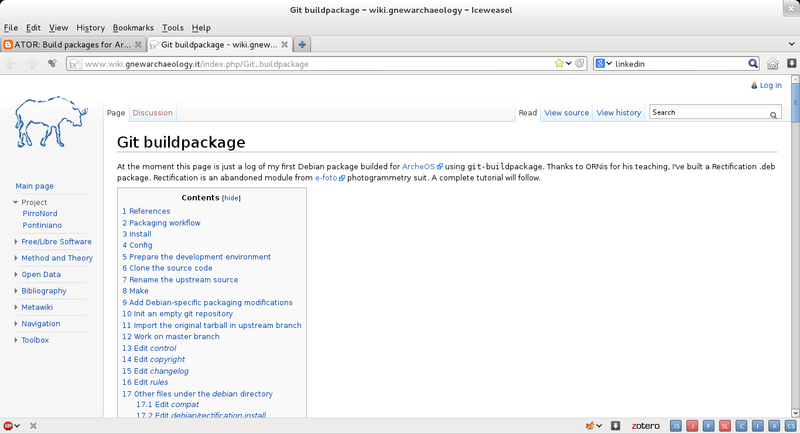 Building Debian packages can be very hard, so we decided to start the IRC tutorial with a less difficult software like Rectification, an abandoned module from e-foto photogrammetry suit. 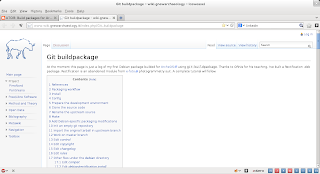 At the moment the wiki page is just a log of that IRC meeting, but in the near future I want to complete the tutorial and build more packages. * and finally to re-invite you to join the #archeos IRC channel, because good things happen. It is long that Alessandro and me wanted to write this post, but for one reason or another, we could not work on it. 1) Is it possible to work with SfM/IBM techniques underwater? 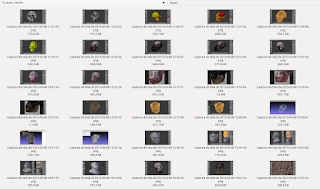 2) Is it possible to extract 3D from a movie? 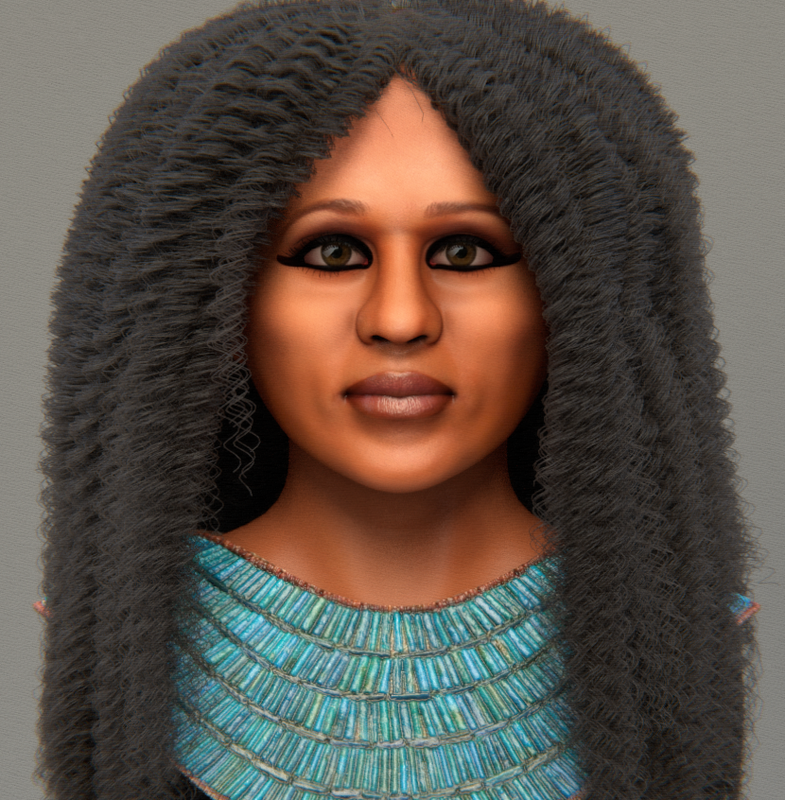 As regards the first question, I can report that since we (Arc-Team) started to work with SfM and IBM (2009), we did also tests underwater and they gave us positive results. This is one of the main reason why we invested so much time on the research in this filed: SfM and IBM methodology, until now, is one of the best solution in archeology, due to its versatility (it can be used for underwater or aerial documentation, in low light conditions or in precarious situation, during mission abroad, etc...). 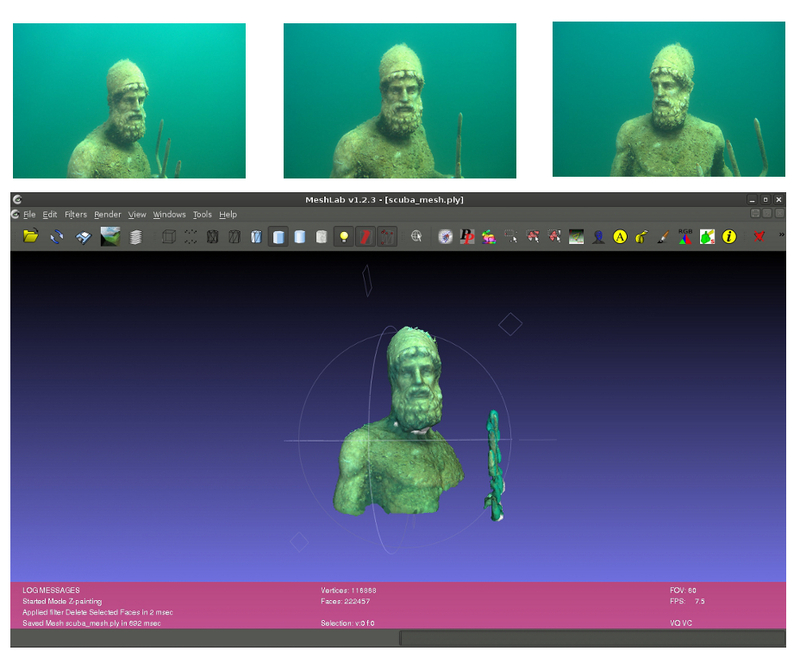 We already underlined this concept when, with the help of Nicolò Dell'unto (Lund University), we compared different methodology to record 3D documentation of archaeological artifacts. The result of this experiment was presented during the ArcheoFOSS 2012, in Napoli (see the related slides and this post). During the workshop "Low cost 3D: sensori, algoritmi e applicazioni", we had the opportunity to better analyze the use of SfM/IBM in extreme working conditions, strengthening our point of view about this methodology (see the related slides). 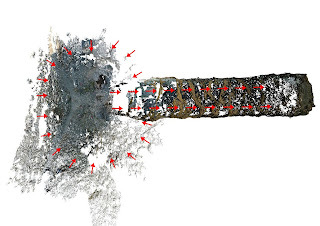 ... while this other image shows the results we achieved using some pictures that Victor Jansa, of TUWA ("Tauchverein für Unterwasserarchäologie"), sent us to do a test. I hope this post was useful. Soon, when the season will allow us to start diving again, we will go on with tests and experiment related with underwater archeology. I hope to write soon some new report about it. In May 18 will happen in Egyptian and Rosicrucian Museum in the city of Curitiba, Brazil, the "Feliz Dia da Múmia 2" (Mummy's Happy Day 2). 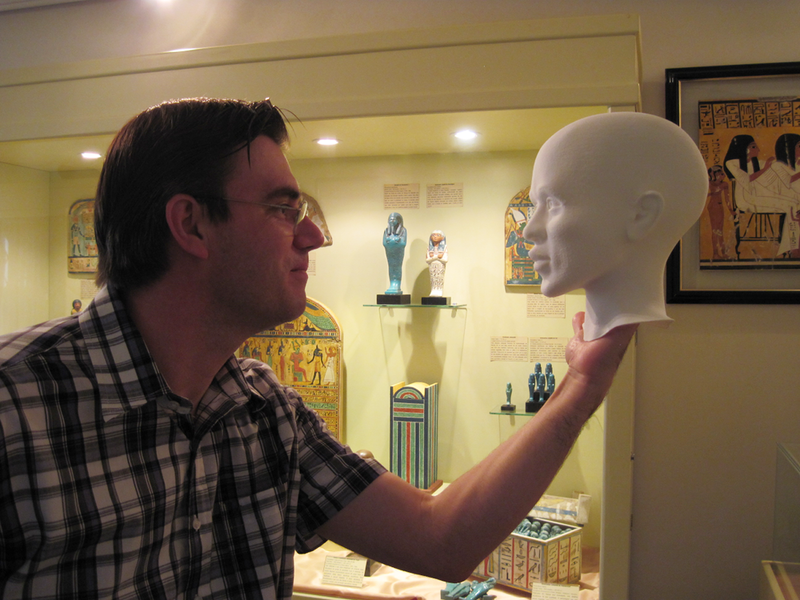 This will be a conference about Tothmea, an Egyptian mummy exposed on the same museum. The archaeologist Dr. Moacir Elias Santos, will talk about the history of the mummy. Starting with her coming from Egypt, the passage arounf USA until the arrive to Brazil. 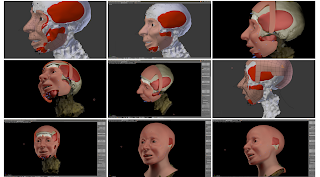 And I'll talk about the process of forensic facial reconstruction using almost only free software (we had to use 123D Catch because I still had not mastered the PPT). This is the first time a mummy reconstructed from this team is formally exposed. So, I let here my invitation to you. The technology of SfM allow you convert, with great precision and quality, some photos into a 3D mesh. 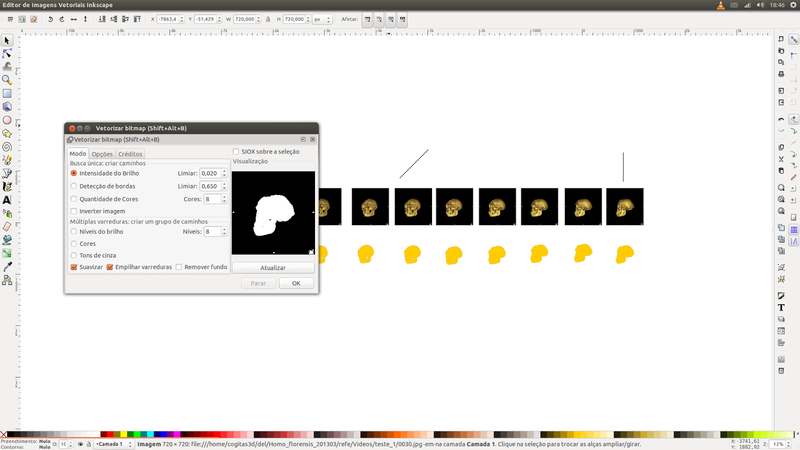 The problem is when you don't have the photos and need to find other ways to reconstruct an object. 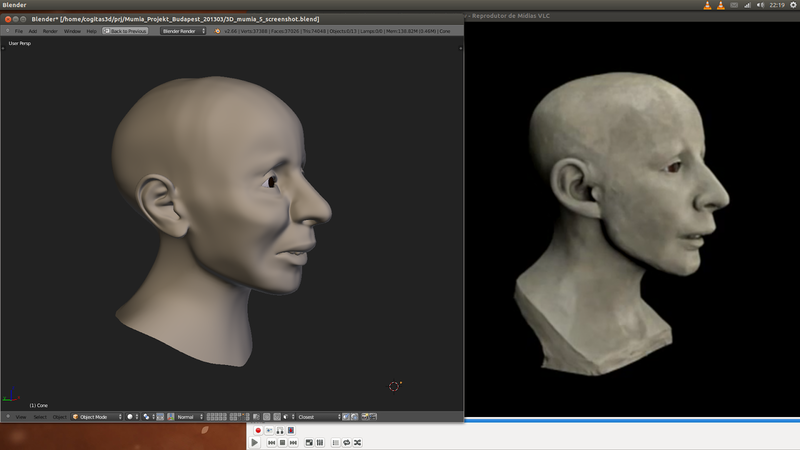 Fortunatelly, the Python Photogrammetry Toolbox (SfM) works well in a couple of possibilities, and like you saw in the video above, also with this type of media. The video downloaded, shows the Budapest Múmia Projekt of the Szépművészeti Múzeum. This project was a multidisciplinary effort not only to reconstruct the face of the mummies, but the panorama of their past lifes too. To put the object in the scale, I use other video that show the CT-Scan with a scale at side. Even working with a low quality reconstructed mesh, the result of the reconstruction was relatively compatible with the oficial bust made by Dr. Kustár Ágnes. May 18th through July 31st, 2013 will happen in the big and beautiful Curitiba city in Brazil, the exhibition The Faces of Evolution. Near the replicas of skull of hominids will have nine panels with forensic facial reconstructions. The exhibition will happen now, but the history started here in ATOR some months ago. The methodology developed to model the majority of the faces was used for the very first time in Alberto di Trento's reconstruction. 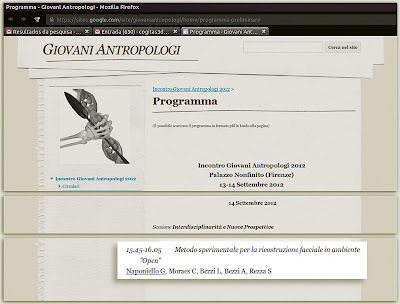 On that occasion the Arc-Team presented a paper at the event Giovani Antropology (Italy), where they described the methodology for forensic facial reconstruction using only free software. 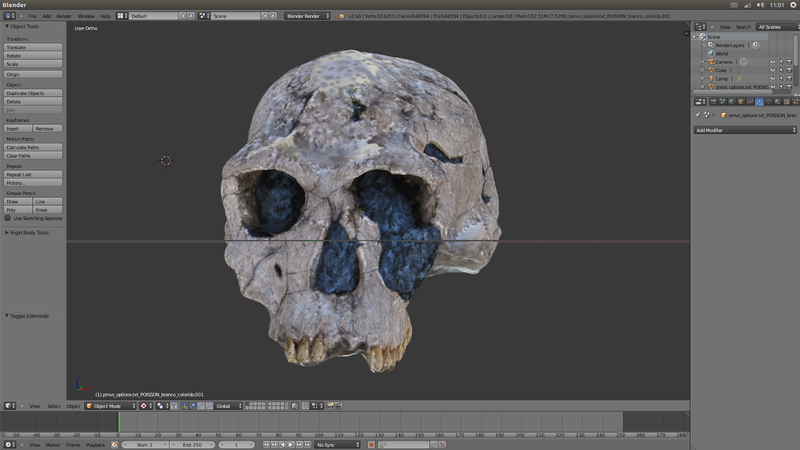 Following the events, we initiated Project Taung. If before we had rebuilt a modern human this time we would rebuild a hominid remote, then the Taung Child. Beyond the Arc-Team Group, has joined the project Prof. Dr. Nicola Carrara University of Padua. 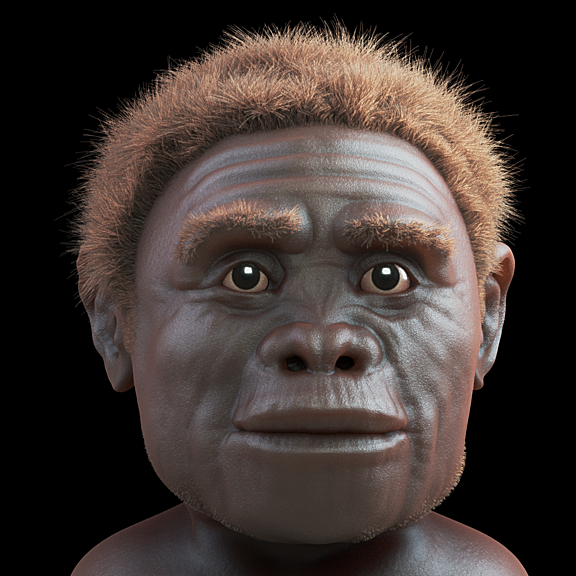 We were able to reconstruct the face of the Taung child fastly, thanks to a methodology developed previously. We had a largely positive feedback, both personalities linked to forensic facial reconstruction, as those related to 3D modeling, as the creator of Blender, Mr. Ton Roosendaal. 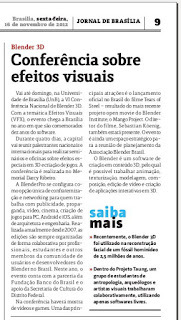 Several media outlets broadcasted stories (see the comments) on the reconstruction of the Taung child, as the Jornal de Brasilia above. After the successful reconstruction of hominid remote, we got in touch with the archaeologist Prof. Dr. Moacir Elias Santos of the Archaeological Museum of Ponta Grossa and Prof. Esp. 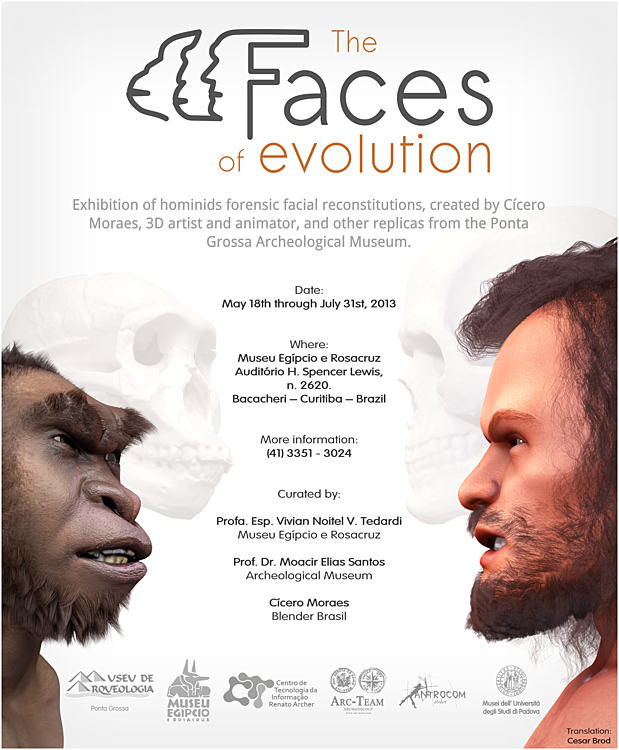 Vivian Tedardi of Rosicrucian and Egyptian Museum in Brazil and we began a series of modeling which culminated in the exhibition the Faces of Evolution, described here. 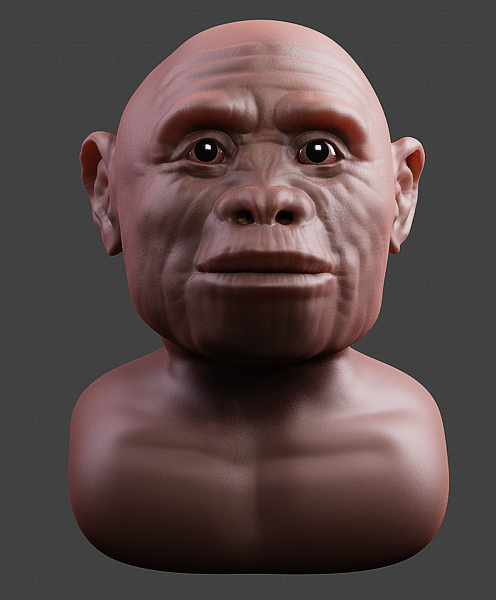 And last but not least, the Homo floresiensis. This was a brief description of the exhibition and its history. Now, we expect the event date arrives, while others look for fossils to be rebuilt. this post is nothing serious, maybe just fun, but somehow interesting. 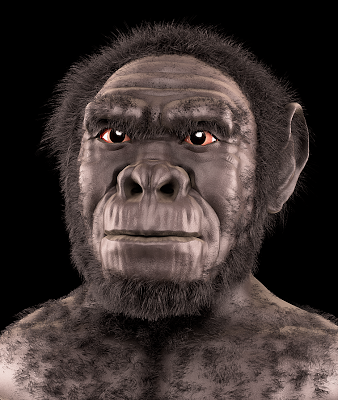 the Taung Child (Australopithecus africanus), the Australopithecus afarensis and the Homo habilis are not considered human faces by G+. On the contrary, the facial recognition application is able to find the Turkana Boy (Homo erectus), the Homo floresiensis, the Homo erectus pekinensis, the Homo heidelbergensis, the Homo neanderthalensis and, of course, the Cro-Magnon (early Homo sapiens sapiens). 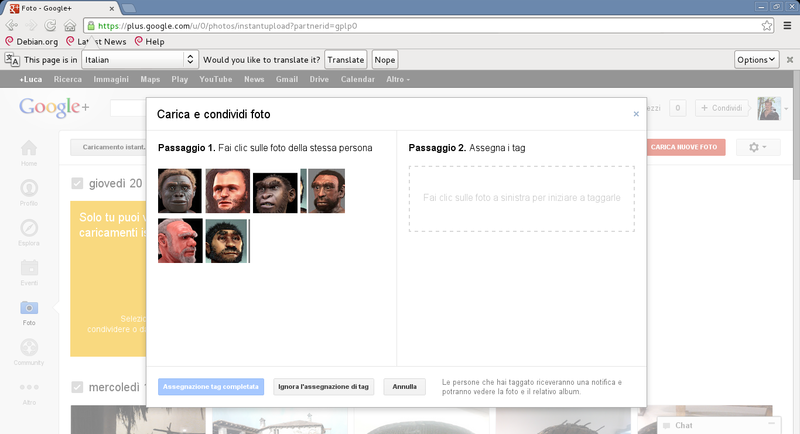 To verify that the facial recognition was not due to Cicero tags, I downloaded the image and uploaded again on my account and... I get the same result. 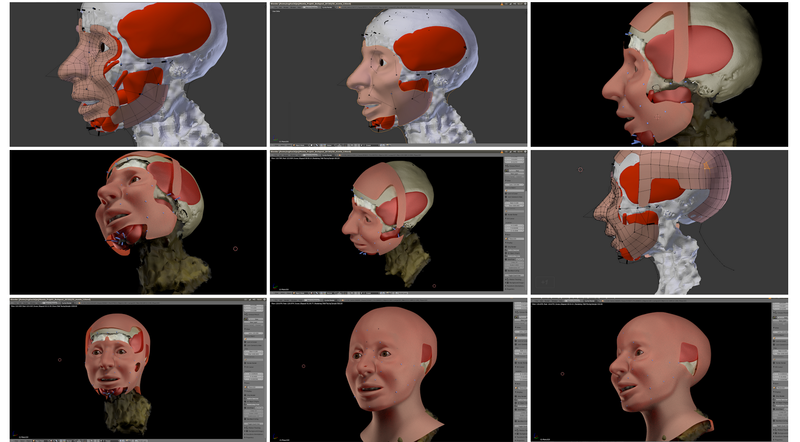 Moreover, when I uploaded the picture, the software asked me to tag the people of the "photo", recognizing the same six faces, as you can see in the image below. I do not know if this report can be interesting for an anthropologist; maybe Moreno Tiziani could better analyze this phenomenon, but I just wanted to inform you about this strange anthropological attitude of a social network, let's say this AnthropoloG+ application :). Homo floresiensis - 3D forensic facial reconstruction of the "hobbit"
Homo floresiensis ("Flores Man", nicknamed "hobbit" and "Flo") is a possible species, now extinct, in the genus Homo. 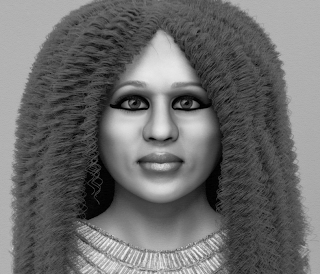 The remains of an individual were discovered in 2003 on the island of Flores in Indonesia. 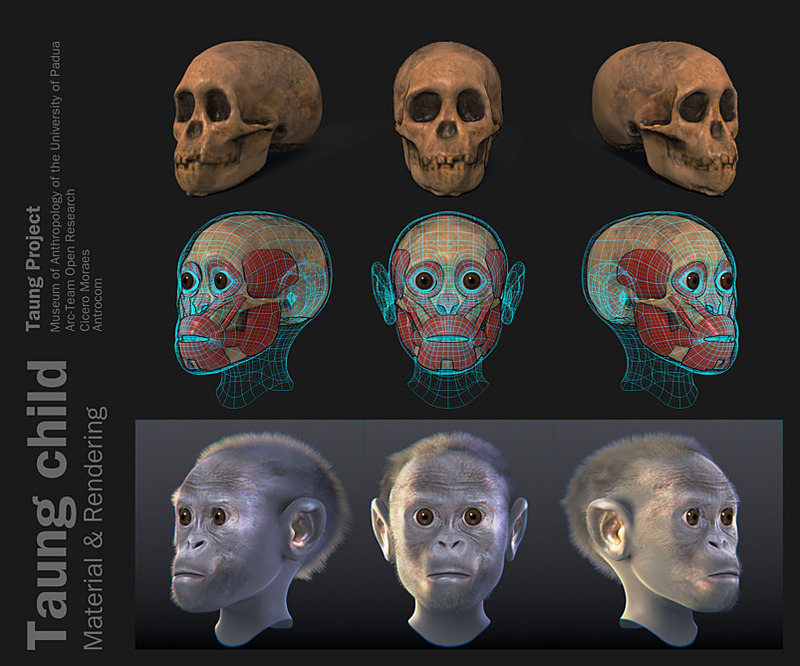 Partial skeletons of nine individuals have been recovered, including one complete cranium (skull).These remains have been the subject of intense research to determine whether they represent a species distinct from modern humans, and the progress of this scientific controversy has been closely followed by the news media at large. This hominin is remarkable for its small body and brain and for its survival until relatively recent times (possibly as recently as 12,000 years ago). Some months ago a forensic facial reconstruction of the "hobbit" was presented in the web. 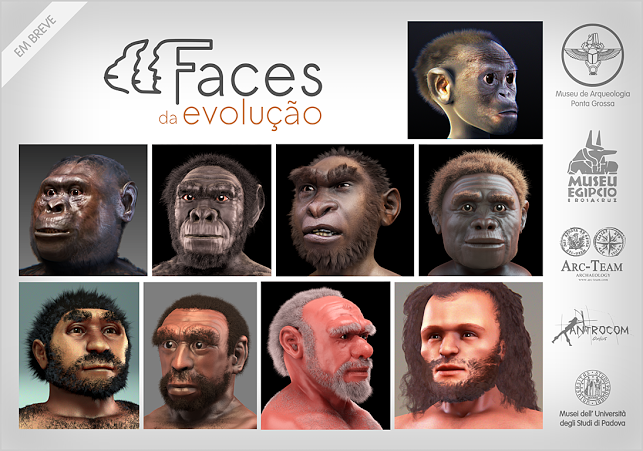 I liked very much of this and decided create a version to a exposure about human evolution that will happen here in Brazil. After that I imported ten images in Inkscape and I converted the bitmap in vector (Shift + Alt +B). So, I placed the "slices" in their positions, and I made a extrusion by rotating. 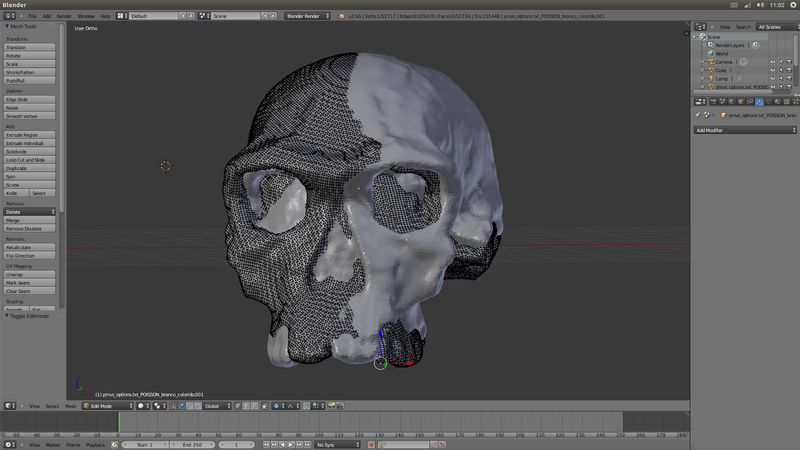 With this I had the basic shape of the skull to continue, this time, with the sculpting process. 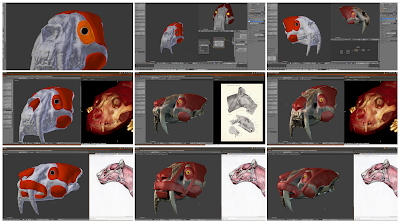 I cannot forget to thank Dr. Paulo Miamoto to help me with the modeling of the teeth. I made a new videotutorial about rectification using CloudCompare v. 2.4. 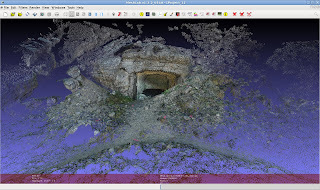 In this video i use data from total station (local coordinates system) to rectify a point cloud. The point cloud is realized using Python Photogrammetry Toolbox. 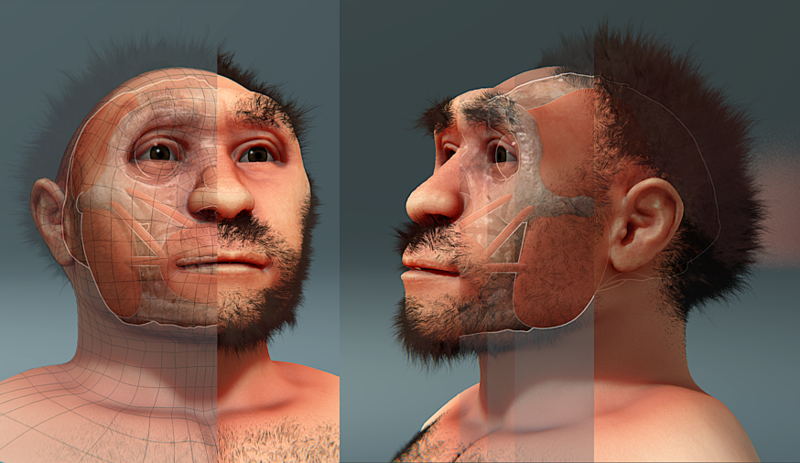 Last but not least, I finished the reconstruction of a Homo habilis to be exposed at an event about human evolution in May 2013. 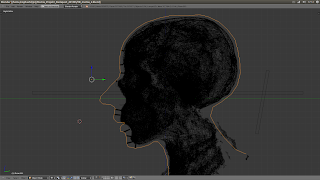 I chose to close with this model because I saw an opportunity to test a new methodology. 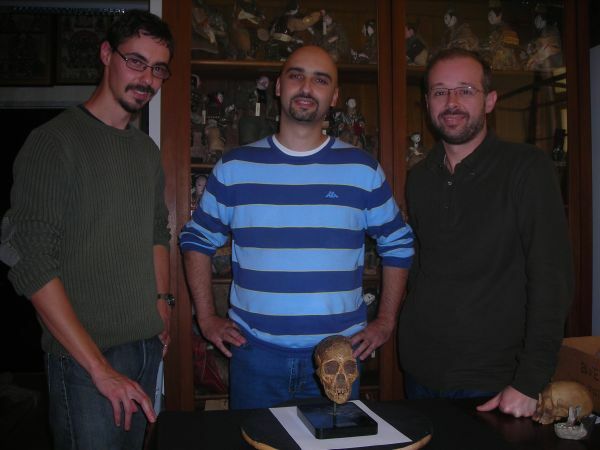 Upon receiving the skull reconstructed by Prof. Dr. Moacir Elias Santos, it was evident that besides not being very symmetrical parts were missing. 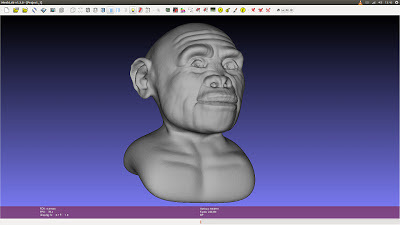 To harmonize the view without losing data, was enough to mirror the object in the X axis But there was still part of the zygomatic arches, and jaw. 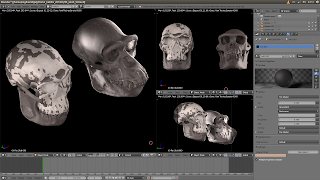 Through deformation via Edit Mode (Blender 3D) with Connected activated, it was possible to deform the skull of a chimpanzee until it to conform with the model scanned and imaged. 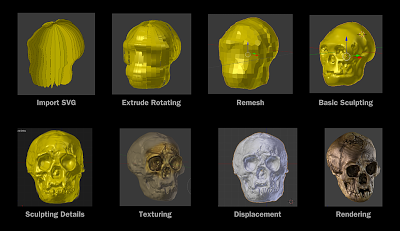 Follow the step-by-step via screenshot and see how the work was produced, starting in the import of the skull and ending in the final render. These hominids reconstructions are "sons" of Taung Project. 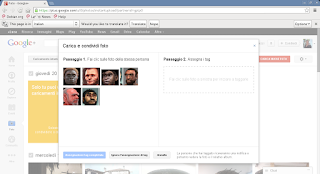 It is a group work by internet in Italy and Brazil. Since last October Arc-Team is working on a challenging project about World War 1 on the southwestern frontline 1915-18. In a few years we will celebrate the 100st recurrence of the Italian declaration of war against the Austro-Hungarian Empire in May 1915. For that reason the South-Tyrolean Heritage Departement was starting an extensive archaelogical survey campaign in high alpine environment up to 3900 m.s.l. We've had to find out a rapid, lightweight and low cost method to document the uncountable amount of structures along both front lines. The area of our pilot project is an approximately 6 sqkm large high plane between 2000 and 2300 m.s.l. called Plätzwiese. 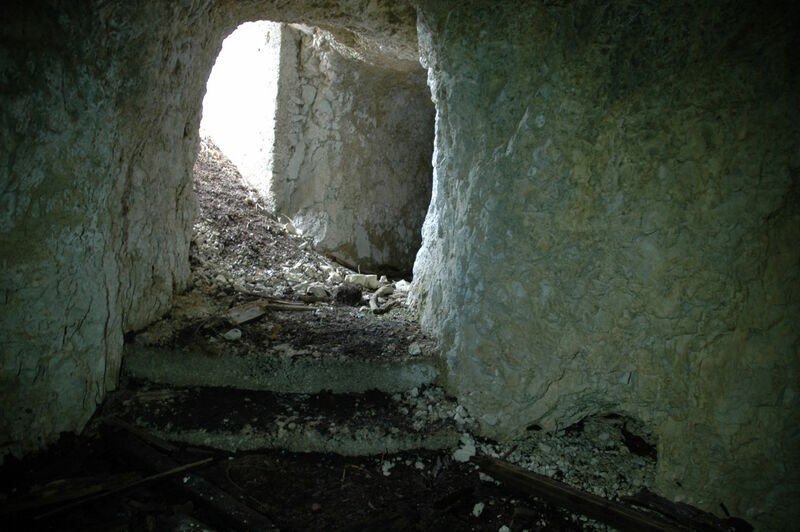 Between 1915 and 1917 it was a strongly fortified second line artillery position of the Austro-Hungarian Army. Because of the seclusion of this area, today there we can find some of the best preserved residues of WW1 in Europe. 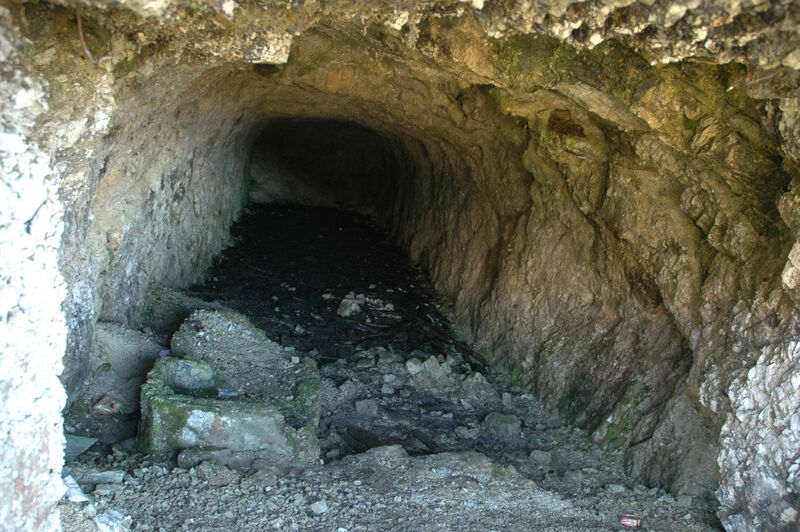 We expect a total amount of more than 1000 archaeological remains just in this sector. One of the major challenges is the documentation of the numerous tunnels and caverns driven in to the rock to protect troops and material from enemy artillery fire. 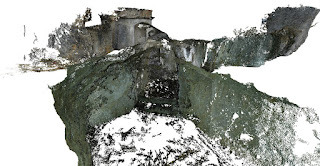 We apply SfM to obtain pointclouds of the interiors, dealing with difficult conditions of illumination and space. 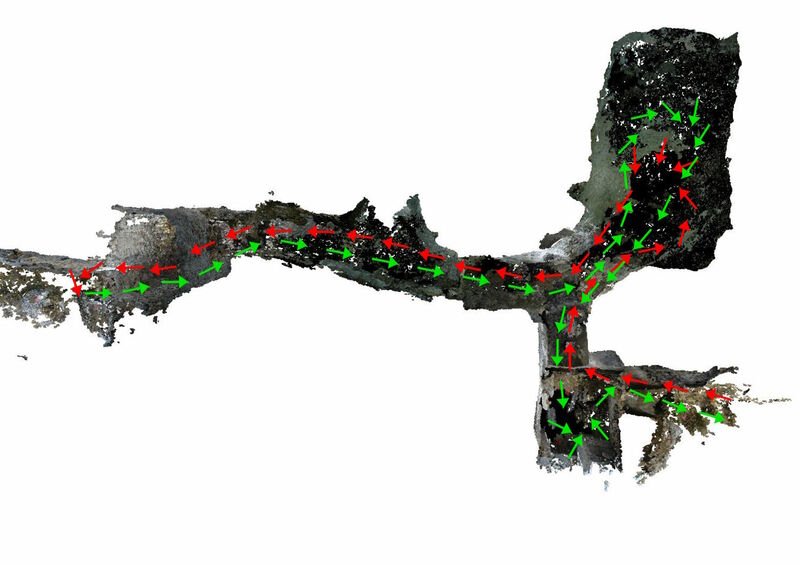 After placing GCP's around the entrance(s) and measuring them with our DGPS, we start with one or more sequences of pictures in the entrance area, advancing along the tunnels, turning at their end and coming back to the starting point. In the dark we use of course a tripod to allow long exposures and some torches, to illuminate shadow areas. In this way we've taken up to 300 pictures for one single structure. 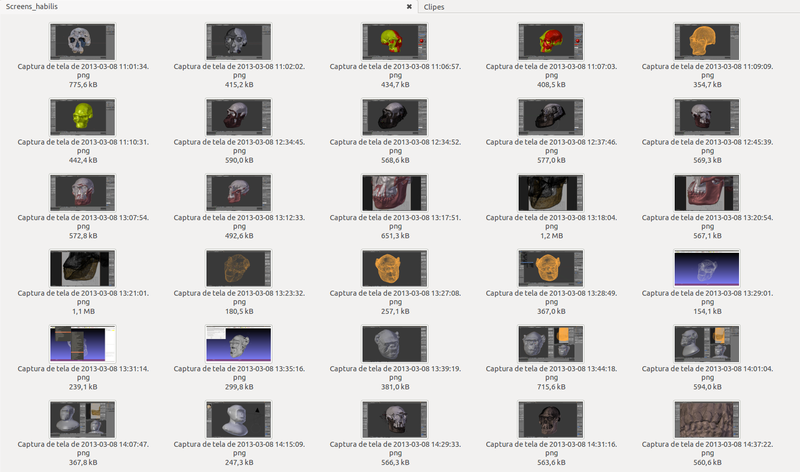 Various attempts of processing them in Python Photogrammetry Toolbox divided in a few single sequences, gave us some indication of the most advantageous way of photographing. Point Cloud in MeshLab v1.3.2. Redundancy: The same point has to be visible in much pictures possible. Long baseline: To obtain correct geometrical information, the projection centers of the sensors have not to be to close together. 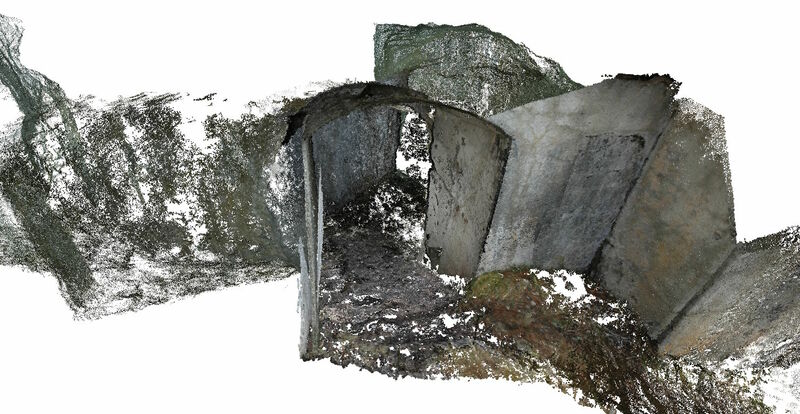 Taking a just a single photo-sequence along one way of the cavern, causes often problems with redundancy and subsequently lead to empty areas in the pointcloud, especially along the ceiling of the cavern. Another of the experiences gained, is that the software has big difficulties to match features form the photo-sequence taken on the way inwards, with features from the photo-sequence taken on the way back to the entrance of the tunnel. We get the best results advancing on two parallel lines, as well on the way in, as on the way out of the structure. Finally we processed the parallel sequences of each direction and referenced them after in Cloudcompare in the way how Ale Bezzi described it. 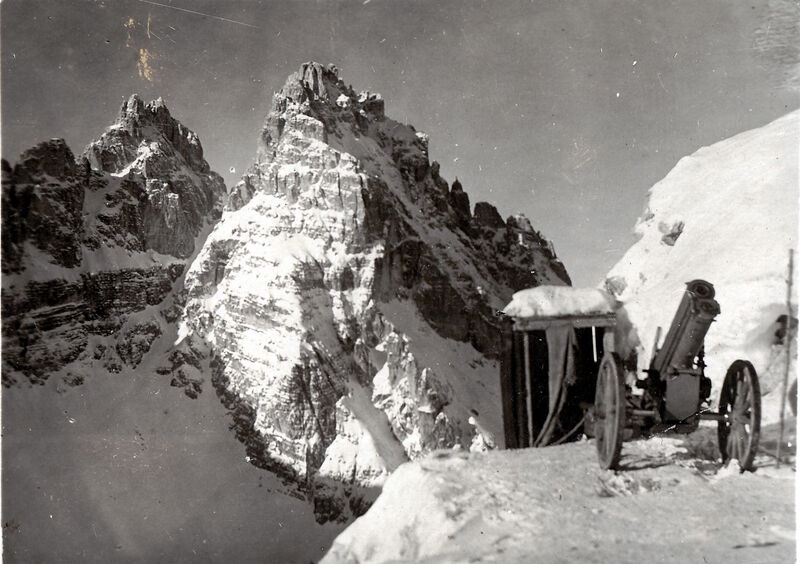 In June 2013, after the thaw, we will resume fieldwork in Plätzwiese and we hope to acquire further experience.